Posted in: 1 Pageant Pages, 2 Shout-out-Looks. Tagged: 65th Miss Universe, Frederick Peralta, Josh Mangila, Maxine Medina, Miss Universe Philippines, Xpedition Middle East. 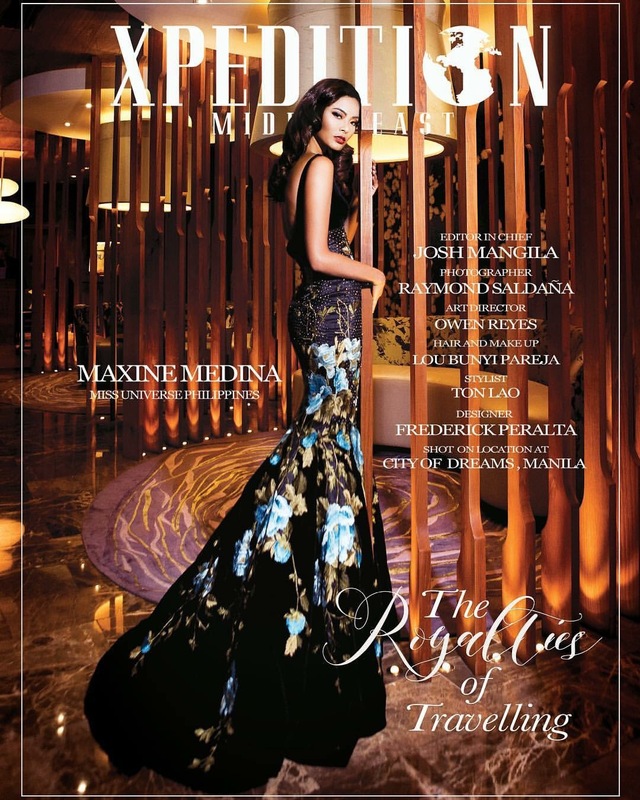 Miss Universe Philippines 2016 Maxine Medina has scored a first by being the first Filipino to grace the cover of the uber glossy and high-end Dubai-based “Xpedition Middle East” Magazine (courtesy of my good friend Josh Mangila who is Editor-in-Chief of the same). The publication has wide circulation among the Emiratis and within high society circles of the United Arab Emirates and surrounding nations. This is such good timing for our very own Maxine as she is getting ready to become the host delegate of the 65th Miss Universe next month. Wearing a Frederick Peralta, the cover shot was taken by Raymond Saldaña with Art Director Owen Reyes, HMUA Lou Bunyi Pareja and Stylist Ton Lao. I need to get my personal copy from Josh soon! Below is a BTS video of Maxine’s photoshoot for Xpedition. Keep the votes coming for your Favorite National Costume in Bb. Pilipinas 2016! Posted in: 1 Pageant Pages, 2 Shout-out-Looks. Tagged: Angela Fernando, Angelica Alita, Bb. Pilipinads 2016, Bessie Besana, Cherry Samuya Veric, Dindi Pajares, Frederick Peralta, Jennyline Carla Malpaya, Joel Acebuche, Maria Lina Prongoso, Paula Rich Bartolome, Polly Lagyap, Raymond Saldana. You might have already forgotten about the online voting for your Favorite National Costume, so let this be a gentle reminder to keep the likes (or votes, if you will) coming for the six finalists for the said special award. 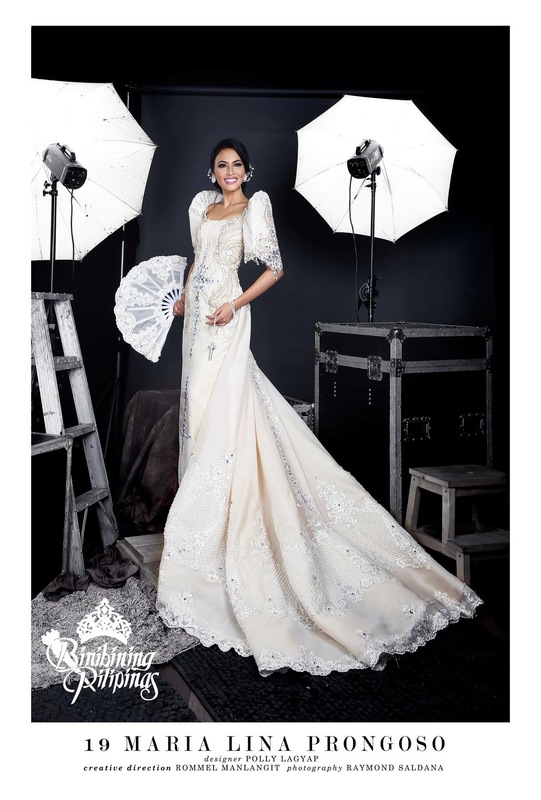 Of course, it does work to the advantage of whoever has the strongest supporters among Binibinis Angela Fernando, Paula Rich Bartolome, Maria Lina Prongoso, Dindi Pajares, Jonti Martinez and Angelica Alita. But try going beyond the Binibinis wearing them as well so you can fully appreciate the creations of Designers Frederick Peralta, Joel Acebuche, Polly Lagyap, Cherry Samuya Veric, Jonti Martinez and Bessie Besana. Visit the Bb. Pilipinas Facebook page now to cast your vote! Here again are the six (6) finalists in photographs taken by Raymond Saldaña. Excited for tonight’s Bb. Pilipinas 2016 Fashion Show? Posted in: 1 Pageant Pages, 2 Shout-out-Looks. Tagged: Bb. 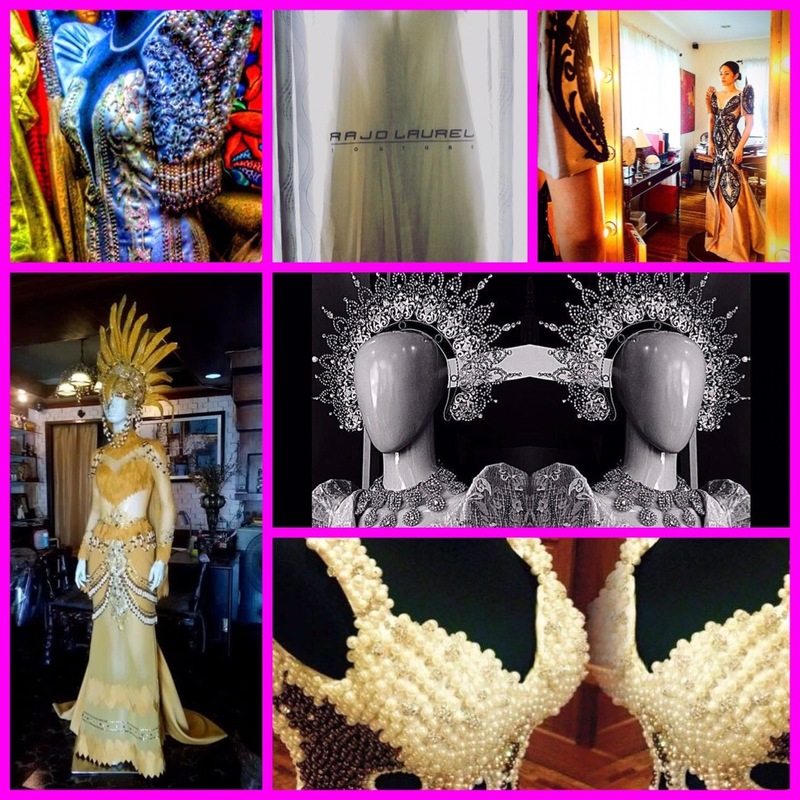 Pilipinas 2016, Bessie Besana, Edwin Uy, Frederick Peralta, Kia Theater, Mak Tumang, Rajo Laurel. Frederick Peralta for Binibini 3 Angela Lauren Fernando. Edwin Uy for Binibini 1 Gail Ventic. Rajo Laurel for Binibini 31 Kylie Verzosa. Mak Tumang for Binibini 11 Nicole Cordoves. Rhett Eala for Binibini 29 Maxine Medina. Roland Lirio for Binibini 28 Nichole Manalo. Bessie Besana for Binibini 38 Angelica Alita. 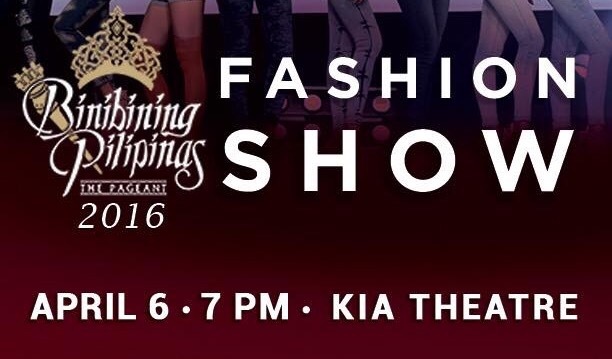 These are just seven of our talented local designers who will dress up the Binibinis in tonight’s fashion show at the Kia Theater. And I can’t wait to see them all on the ramp. 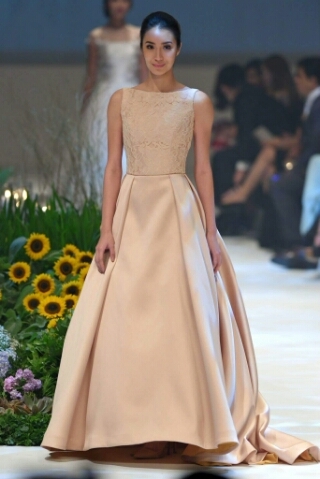 This is going to be a fab show of beauty, elegance and sophistication. Plus a dash of cool and rugged sexiness in JAG! Posted in: 1 Pageant Pages, 2 Shout-out-Looks. Tagged: Anja-Vanessa Peter, Bruce Casanova, Frederick Peralta, JC Buendia, Jodilly Pendre, Kylie Verzosa, Marry Me at the Marriott, Monika Sta. Maria, Rajo Laurel, Randy Ortiz, Rhett Eala, Vanessa Mae Walters. 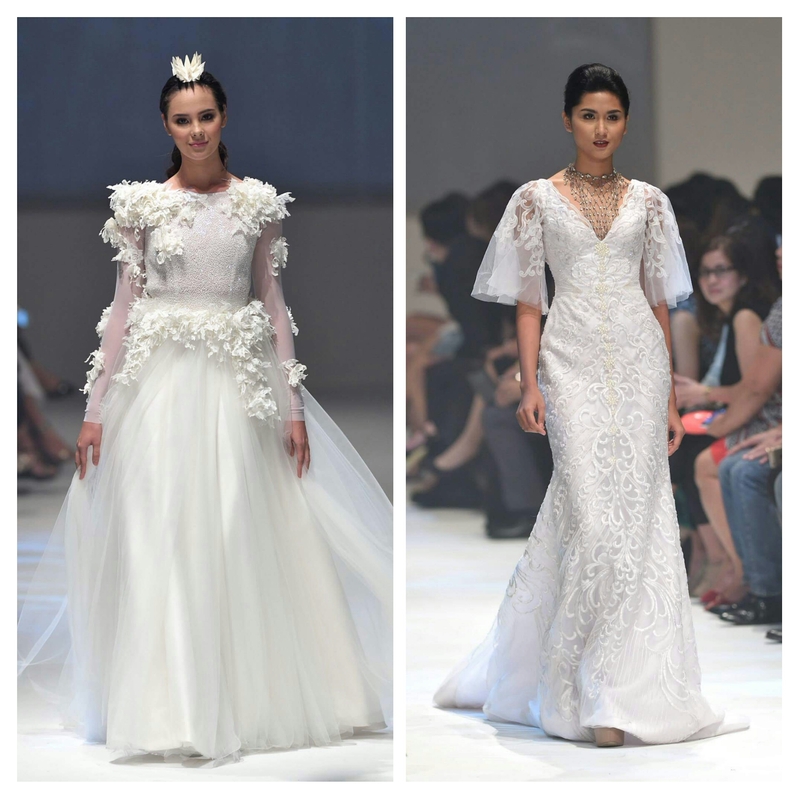 During last weekend’s Marry Me at Marriott Fashion Show, five (5) of our top designers – Rajo Laurel, Randy Ortiz, JC Buendia, Rhett Eala and Frederick Peralta – unveiled their respective bridal collections that coincided with the official launch of the Marriott Grand Ballroom which is reputed to be the biggest in the country today. All images are courtesy of Bruce Casanova. 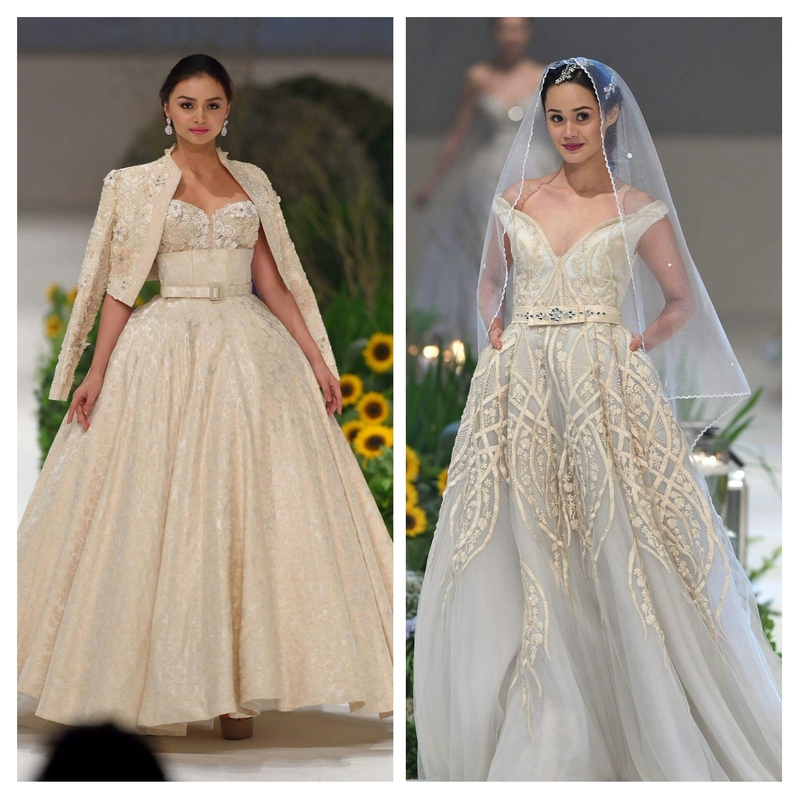 Would you go French chic with a Rajo Laurel (on Kylie Verzosa) or Rhett Eala (on Vanessa Mae Walters)? 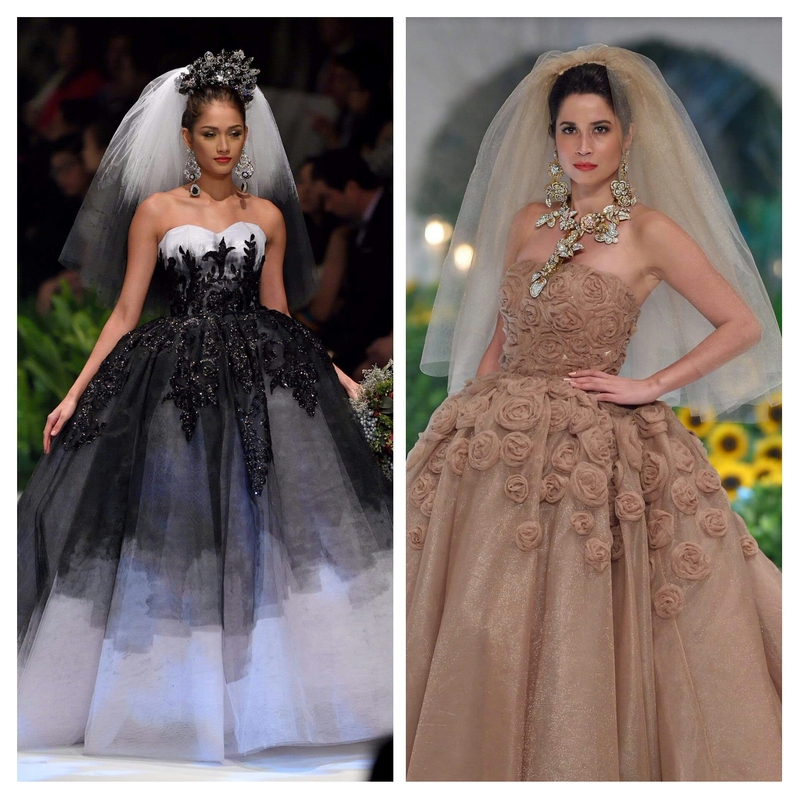 Would you prefer non-traditional colors like these Frederick Peralta creations on Monika Sta. Maria (in black and white) and Anja-Vanessa Peter (in light mocha)? Or will you stick to white but go all-out like the Rhett Eala flowery (worn by Catriona Gray) or Randy Ortiz quiet elegance (on Jodilly Pendre)? Posted in: 1 Pageant Pages, 2 Shout-out-Looks. Tagged: Angel Aquino, Daragang Magayon Festival 2015, Eula Valdez, Frederick Peralta, Geoff Eigenmann, Jaclyn Jose, Jojie Lloren, Joyce Ann Burton-Titular, Jud Ballesteros, Lem Pelayo, Ma. Carmella Michelle Dolmer, Marvi Ann de Lima, Rocky Salumbides. Ma. Carmella Michelle Dolmer is crowned Daragang Magayon 2015! Fresh from the Albay Astrodome, the winners of Daragang Magayon Festival 2015 were crowned in a festive celebration of beauty, elegance and all-around charm. Top favorite Ma. Carmella Michelle Dolmer was named Daragang Magayon 2015. The 17 year-old beauty of Filipino-Canadian lineage led the competition from start to finish after getting a lion’s share of the special awards, aside from charming the star-studded panel of judges. She stands 5’8″. With more training, I’m pretty sure we’ll see more of this drop dead gorgeous girl come 2016 in the nationals. She will be safely 18 by then and fully polished. 1st Runner-Up is Francia Layderos with 2nd Runner-Up honors going to Christine Arnedo. Named Daragang Magayon Turismo is Iana Villania, while Carmela Doma took home Daragang Magayon Almasor. Hosted by Isabelle Daza, the board of judges included celebrities like Jaclyn Jose, Eula Valdez, Angel Aquino, Joyce Ann Burton-Titular and Lem Pelayo, together with model Rocky Salumbides, designers Jojie Lloren & Frederick Peralta plus special guest Geoff Eigenmann. P.S. Rico Manallo gets the credit for the coronation image above.